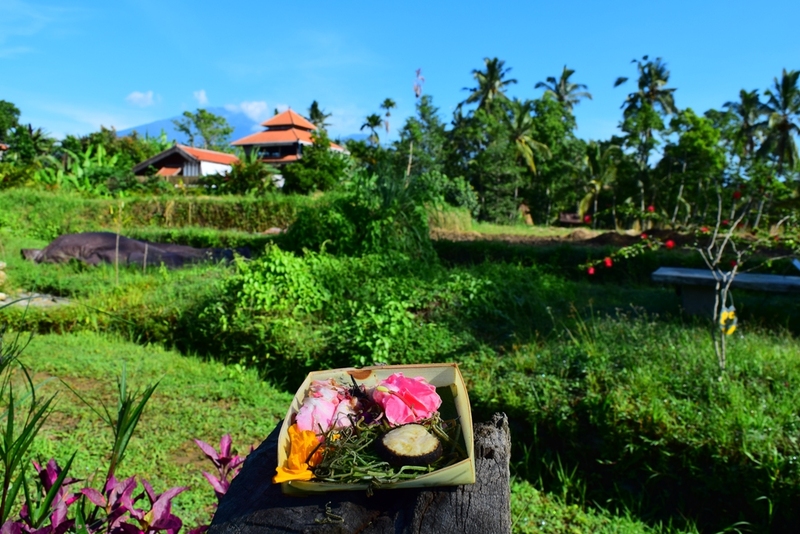 This post is about: what Bali Silent Retreat is like, why it made me happy and sick at the same time and what I have learned from staying there. Since I started travelling in October I was looking for a place that gives me the possibility to take a timeout for a while to focus on myself and lay down the stress from the last two years. To do so I knew I wanted to try yoga and meditation. I just wasn’t sure when and how I was going to do it, until I found out about Bali Silent Retreat that offers yoga, meditation and also super healthy food. Sounded perfect to me and my decision was made. 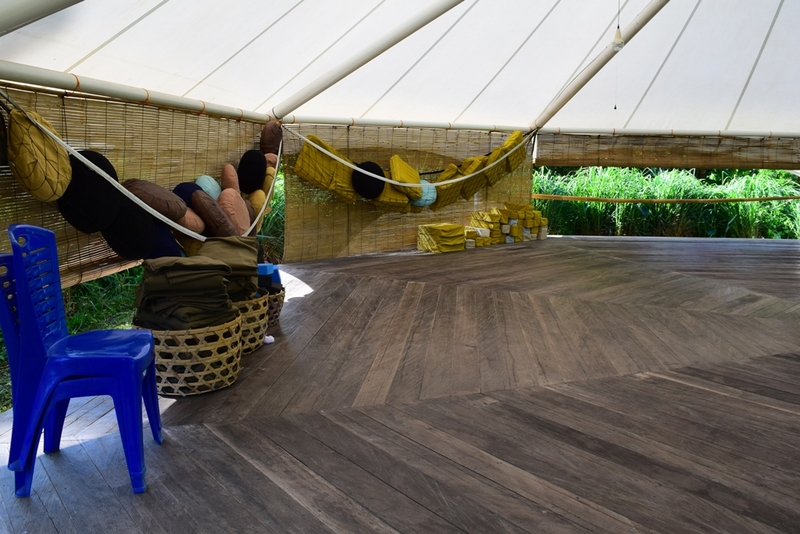 There are actually many kinds of retreats in Asia. The most famous one is probably Vipassana in Thailand which focuses only on meditation the whole day long, preferably for 10 days. I often thought about doing Vipassana, but I didn’t feel ready for it 100%. So I skipped it and told myself, that I will find a substitute in Bali, where I was planning to go for four weeks, as Bali is also well known for yoga and meditation. 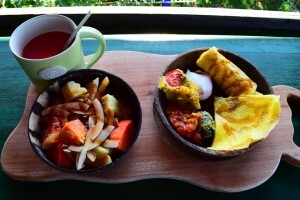 Finally I found Bali Silent Retreat by reading the blog Planet Backpack, where Conni mentioned she has been there and it was a great experience. 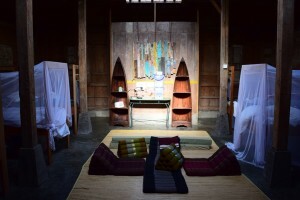 I kept it in mind and found brochures about the retreat when I arrived in Ubud, Bali. After googling it, I knew that this is the place I was looking for and booked a 6 nights stay. And here is what it was like. 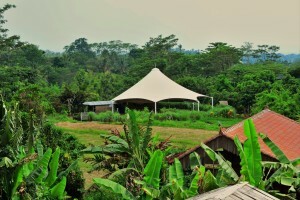 The retreat is located 1,5 hours North-West of Ubud in Bali. On the way to the retreat I came past little villages, large rice fields and untouched wild landscape. Far away from any big city and in the middle of nowhere, the retreat appeared in front of me amidst rice fields and next to a huge jungle. The closest “civilization” is a small village about 20 minutes away by walking. 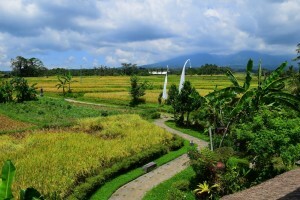 On the retreat’s homepage the location is described with several maps, as even google maps lets guests end up in a rice field. This is why you are safer to arrive by using the retreat’s taxi service. It was their philosophy that made me book the retreat. Focus is set on yoga, meditation, silence and healthy food. All they are doing is based on sustainability and supporting mother earth. What is written in big letters is their food called “New Earth Cooking”. Kitchen chef Simon gives focus to the effects that your food choices have on humanity, life and the planet we are all sharing. 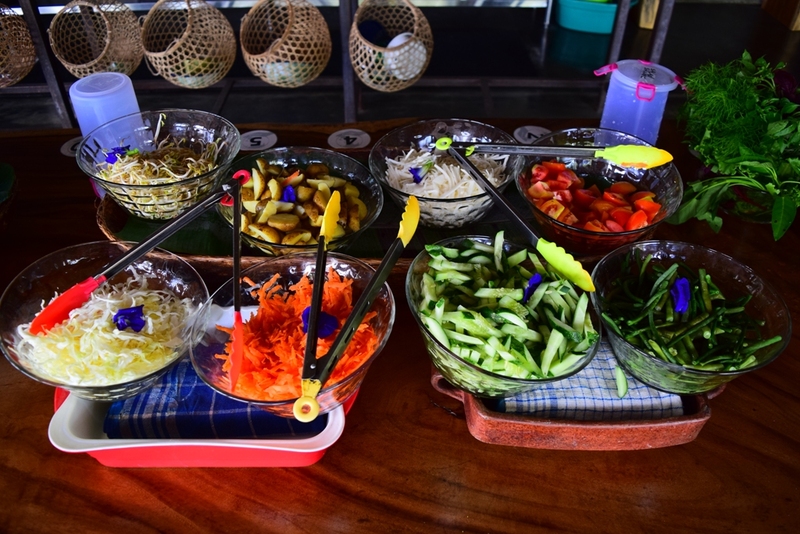 The food is mostly local and sustainable produce only consisting of herbs, vegetables, fruits and nuts. No dairy products, meat, chemicals and gluten. They use eggs from happy, free, running-around-rice-fields-ducks. And they seriously taste better than any eggs I’ve ever eaten before. Furthermore the philosophy says, when you eat the organic food (most of it from their own grown plants), be aware of every bite you eat. Take your time when eating and eat as much from the healthy buffet as you want while enjoying beautiful views. Be aware of how much you support the world when you don’t eat chemical stuffed products, which go all into the soil and pollute the drinking water. New Earth cooking wants to show how home grown vegetarian/vegan food tastes like and what different kinds of dishes you can create from it. Most people who came to the retreat were just fascinated by the food. Same with me. It was soooo good that I ate too much the first two days and got sick with stomach pain. I didn’t know that a vegetarian burger can taste that good. I was always looking forward to breakfast, lunch and dinner buffet. Cookies and fruits were also available the whole time. The check in at the front office already made me feel very welcome. The team was so funny and heart-warming and tried to make your stay as perfect as they can. Everything is explained in detail when showing around the retreat. Also my personal small caring-bag (that’s how I call it) had lots of stuff inside: linen, 2 towels, a kimono, a big cup for making tea, citronella mosquito repellent, a torch, a small diary with a pen, a description of the retreat and a map. Everyone loved the bag. Several small buildings are spread over a big piece of land so that you walk a few minutes from the most distant point to the lodge for breakfast. It’s nice as you walk through the well maintained gardens and get some really nice views. With only a maximum of 35 guests it is a small personal retreat not focusing on masses of people. 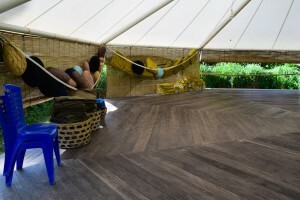 The most important places are the lodge where is all the food and the yoga & meditation octagon. You can book single rooms, double rooms or an 8-bed dormitory. All of them in a bungalow style. As I’m a backpacker I decided for the cheapest version which is for sure the dormitory. It is not like a tiny hostel room. The room is huge and has space in the middle to sit down and read. The bathroom is open to the front so that you have a great view while showering. I was actually lucky that there were problems with my friend’s booking for the female dormitory so that we were moved to the men’s dormitory. A huge 8-bed dormitory with a big bathroom only for me and my friend. We were very happy. 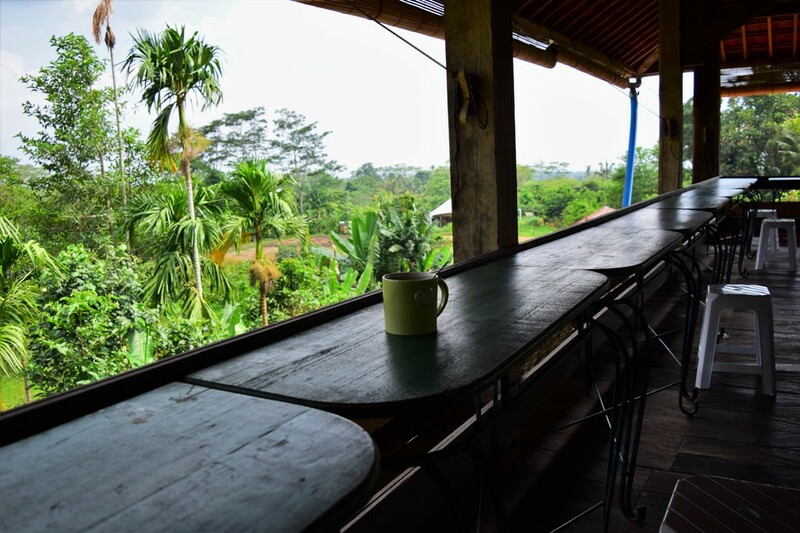 You can for sure also feel free to just wander around the rice terraces, take the jungle walk, visit a village or walk around the different gardens. The morning yoga is generally more about slow stretching and body awakening. In the afternoon the yoga is a bit more strenuous and challenging. The yoga style is Asanas combined with special breathing techniques. It is important to the teachers to only do what your body allows you to do. If you don’t feel good with an exercise, just skip it. Therefore the yoga is suitable for beginners as well as for intermediates. I found the silent meditation for 45 minutes in the morning not that suitable for beginners. I haven’t tried meditation before and wasn’t able to sit for 45 minutes focusing on my body. The morning meditation is in my opinion only for professional meditators and you can’t really learn meditation in the retreat. There is a short 10 minutes introduction at the beginning of the morning class, but that is not enough to really learn meditation. However I really enjoyed the guided meditation in the afternoon. While sitting or lying, the teacher guides you to a calmed down sensation of your body and soul by speaking very slowly and telling you kind of a story. I always felt comfortable and deeply relaxed after the guided meditation. I really enjoyed my stay at the retreat. But somehow I had problems with my body when I stayed there. Problems occurred from food and sun. The food is probably one of the healthiest ones I’ve ever eaten in my life. I thought I would get a good cleanse of my body when eating super healthy food for a week. And actually my body reacted to the food… with diarrhea and heartburn from the first day I arrived. On my last day I talked to 3 more guests and they told me that they also had problems with the food. In the end I was told that it is a process of body cleanse to get diarrhea and heartburn when eating such a healthy food. I have no clue about this, but must be true as I wasn’t the only one who had problems. 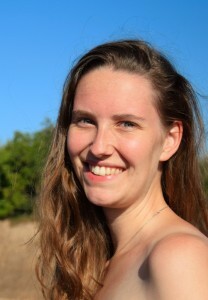 On top of that I got a heat shock from a 1 hour walk in the sun while I learned a lot of interesting stuff about food. As a result I had to deal with a bit of fever for a few days. Quite unexpected problems that came up. But I was in a beautiful place and had a good time which didn’t make it as bad as it sounds. It gives you a lot of time to think about you and things in your life and also around the world when you can’t talk and only focus on yourself. You spent a lot of time at the retreat with eating and I enjoyed the talks with the Chef Simon who gave us lots of important information about healthy food. I didn’t expect that food plays such an important part in the retreat. Therefore I have learned to eat healthier and to pay attention to what I buy. What I have also learned and didn’t expect is, that the retreat doesn’t make you a meditator. I thought I would learn how to meditate and could easily do it when I leave, but that is not part of the retreat. As already mentioned the meditation in the morning is more suitable for already experienced meditators. My key learning: The world has so much to offer and your body can do more than you think. I learned how my body reacted to different food and how relaxed but also stretched I felt after doing yoga and the guided meditation. I learned that people should pay more attention to how they treat their body. Treat you and your body well. View the Bali Silent Retreat gallery and watch the video to get more impressions.